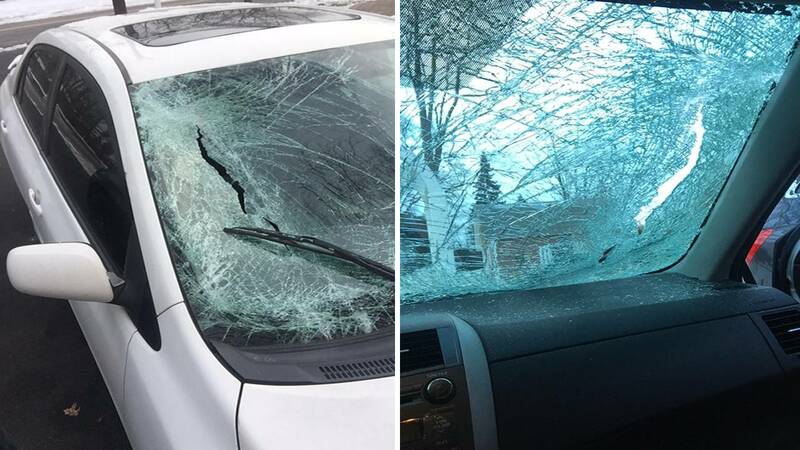 PLAINVIEW, New York (WABC) -- A driver's worst nightmare after a winter storm became a reality on Wednesday afternoon for a woman who's windshield was struck by flying ice in Long Island. Jeannette, who declined to provide her last name, was on her way to work and traveling westbound on the Long Island Expressway near exit 46 in Plainview at approximately 2 p.m.
That's when a piece of ice flew off the roof of a tractor trailer and crashed through the passenger side of her windshield. "It was a big sheet of ice," said Jeannette. "I saw it coming, like I said. I was just trying to give the car a little bit more gas so hopefully it would fly over me but it didn't, I didn't make it in time." 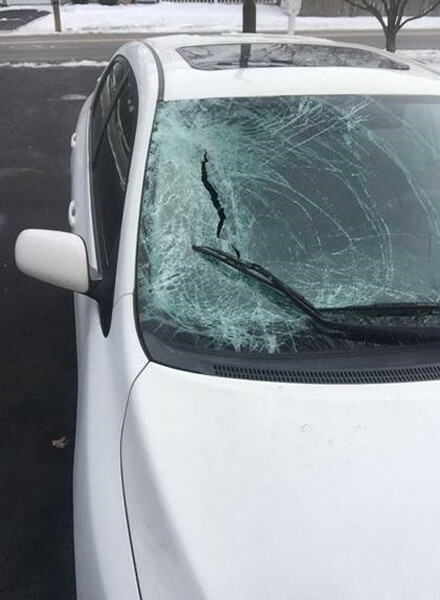 The flying ice that crashed through the windshield left glass inside the car and some damage to the hood, but thankfully Jeannette was not injured. The driver of the tractor trailer was seemingly unaware of what happened to her vehicle. "After I got hit and my windshield was all messed up, I actually followed him for two exits," Jeannette said. "I was high beaming him, I was honking my horn at him and he never pulled over." Nassau County Police are investigating the incident.